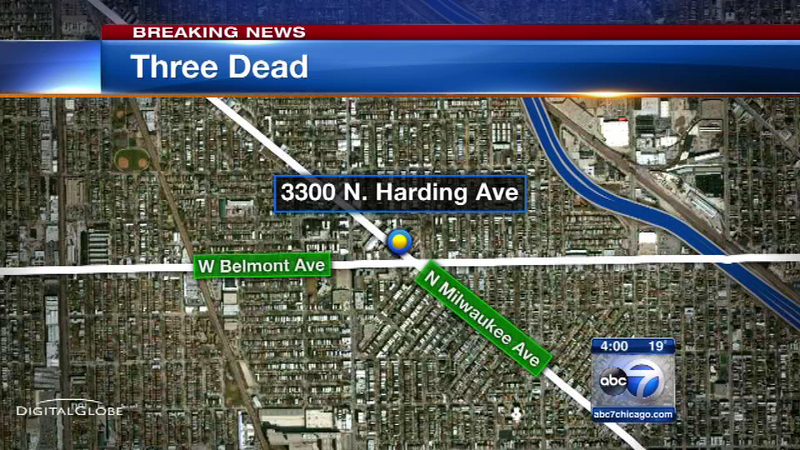 CHICAGO (WLS) -- Police are investigating the deaths of three men found inside a home Monday morning in the 3300-block of N. Harding in the Irving Park neighborhood. Investigators believe the deaths could be cold-related. Police say there were no obvious signs of trauma. Neighbors said they suspect the victims were homeless men from the area who may have gone into the house to try to keep warm. The identities of the victims have yet to be released. Autopsies are scheduled for Tuesday to determine if cold temperatures played a role in the deaths.